Is there any public-domain research or testing available on possible benefits of tapered quench pads for NA applications? 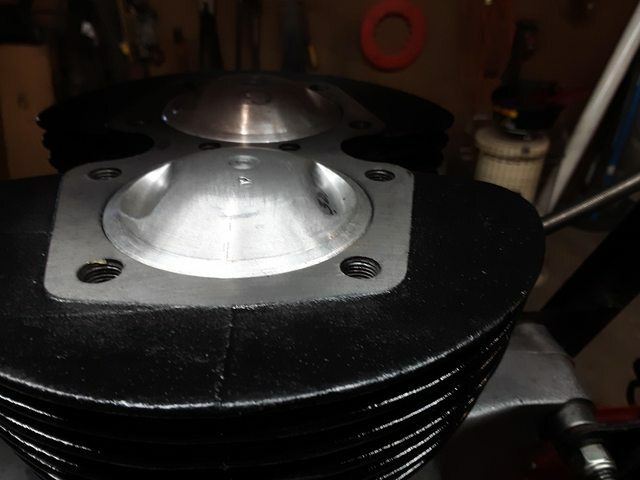 This would be where the quench area has a small divergent angle from the cylinder-side to the plug-side of the pad (a "mini wedge" rather than parallel surfaces between the piston top and the cylinder head). I presume it's similar to what I hear as "softening" the chamber for power-adder applications. Re: Benefits of tapered quench for NA applications? I don’t have any info, but I’ve been wonder this same thing and am looking forward to what others have to say. I saw an attachment or a link in the last 3 days posted here regarding this; it was a paper on the design considerations for a Toyota 4 cylinder. I have been asking that for about 10 years now with no luck, in a recent discussion on FaceBook with power adder guys running different versions of soft chambers it seems they never gave it a thought as to the possible benefit of directing the quench on a na engine. 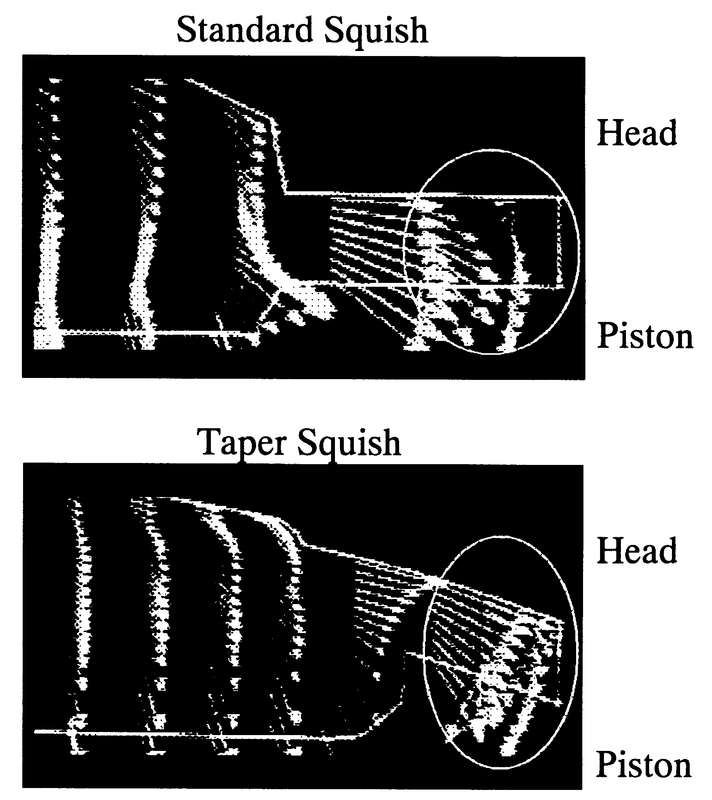 The Toyota paper discussed a directed squish, not a tapered quench if I'm reading that paper correctly. There is a lot of anecdotal evidence in the two stroke and Harley bike world, but nothing as far as track or dyno proof. It is something I would like to investigate one day. As of yet i don't believe in tapered or angled cylinder head quench pads, however, my opinion is subject to change. I feel quench is very important and a tapered pad would reduce it and i wouldn't reduce the quench with a taper or angle in favor of directing it. I do believe in directing the mixture by shaping the piston to create quench and i believe in un-even quench pads. Do a search here on Speedtalk on both "quench" and "squish". Quote a bit of good input and findings. 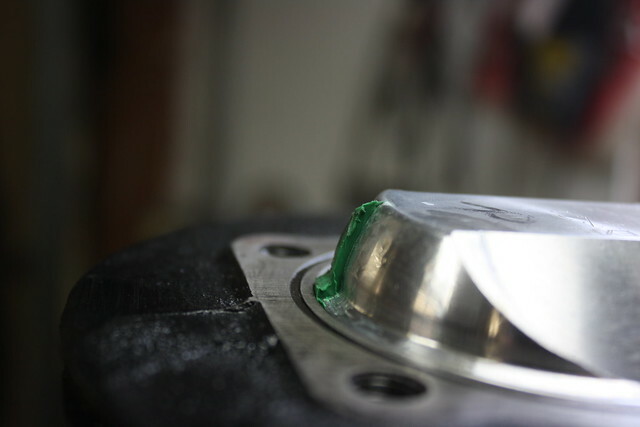 Is a quench pad even needed or was it just the best place to fill in the piston to achieve the needed compression goals? I think people trying to push the limits of crappy fuel led to the belief that all engines need a tight quench area but many high compression naturally aspirated race engines have been done with no quench pad what so ever as well as OEM engine with compression to fit the fuel at the pump, the big difference is that they run the proper fuel for the engine. 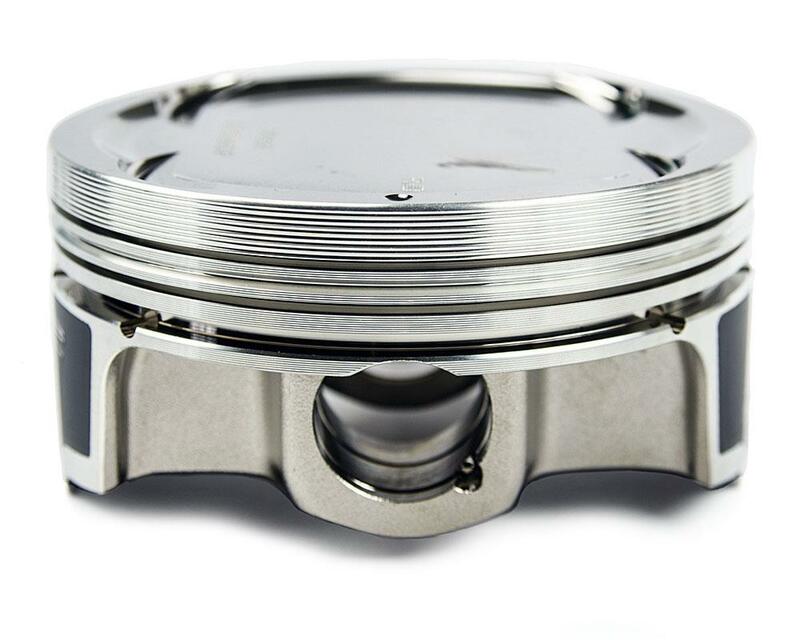 Here is an example of the type of piston. There is a lot of conjecture regarding definitions and with regards to what others may have written I suppose it remains unclear at least to me. Regarding specifically the linked PDF. They are using squish to describe a parallel and angled piston to chamber shape and describing what sounds a lot like flame masking. 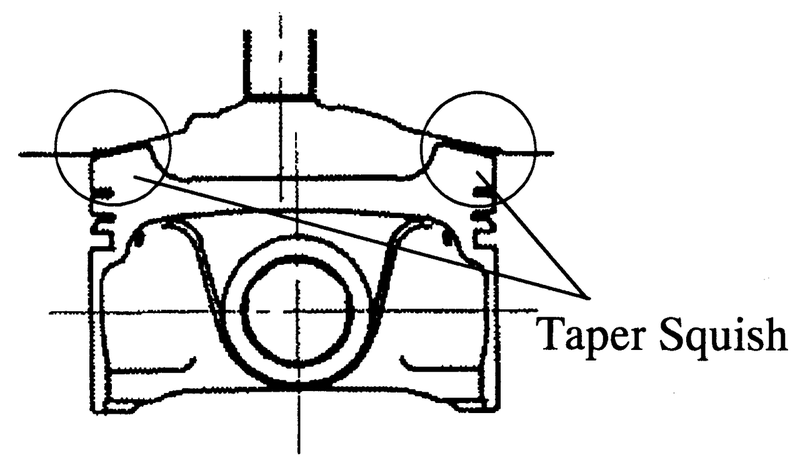 the cylinder head combustion chamber wall (Fig. 10) . Really is worth reading and reviewing the various figures and will answer many of the questions posed here. SBC 327, 462 casting. Tapered area over the spark plug area. Is this an example of the tapered quench thinking from way back?